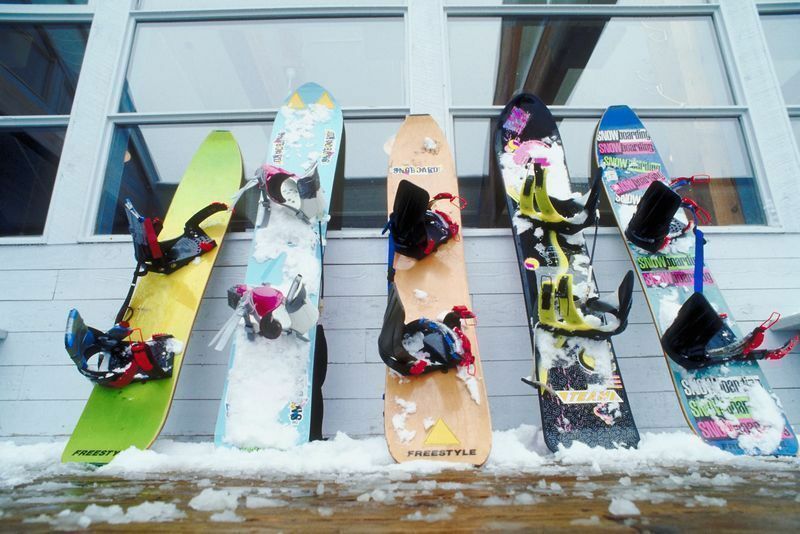 Where's your favorite place to ski and snowboard? Our picks may not be the most famous of ski resorts, but here are 10 top learn-to-ski and ride programs that know how to teach — kids or adults. They’re not in any particular order; four are in the West and six in the Northeast, but perhaps that’s because the smaller northeast mountains have to concentrate on beginners since they have much less advanced terrain. So, is your toddler or teen ready to catch air with Shaun White or Lindsay Vonn? Is your husband or wife ready to give up the golf clubs for an ultralight snowboard? Are you ready to gear up for the powder? That’s great news, but don’t try learning to ski in your own backyard. 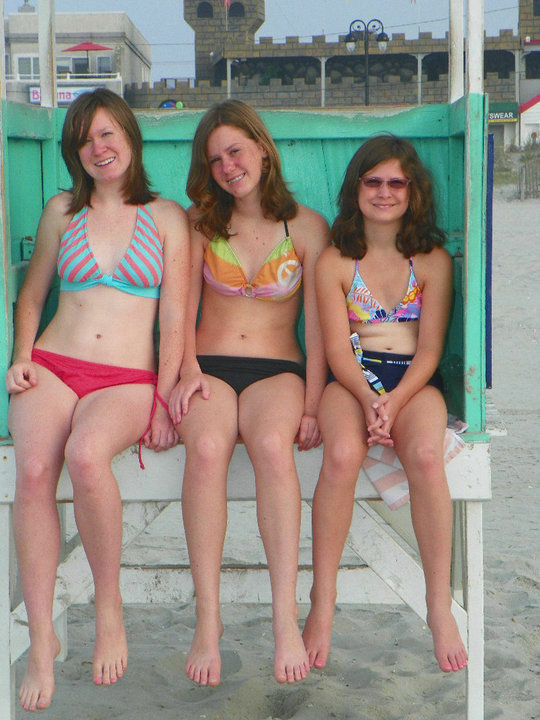 Plan a family winter vacation and take your novices away for great teaching in a place their friends won’t be watching. Most beginners dream of the rugged Rockies, but the New England resorts have plenty of captivating scenery too. Wherever you go, plan to devote two or three days to the learning effort, with time between lessons for relaxation and off-slope fun. And keep in mind that most resorts these days have adaptive ski programs with expert support for beginners with physical or mental limitations — there’s great equipment and instruction that make skiing accessible to every family member. Just think of the excitement when everyone comes home a potential Olympian! Snowsports professionals are the first to say that the sport has become more user-friendly, with many more facilities and support staff for the “never-ever” or beginner guest. 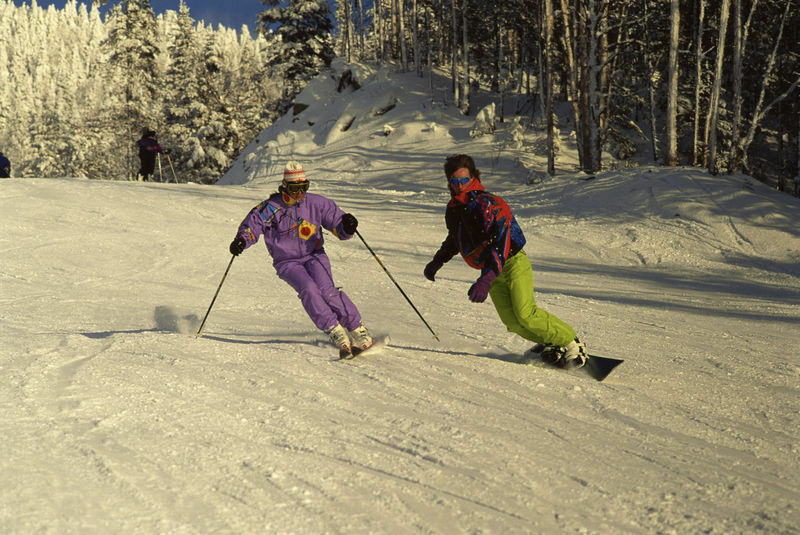 Several factors have contributed to making the beginner experience a better one: innovative equipment such as shaped skis and double rocker snowboards have reduced the learning curve; better grooming has made slopes easier to navigate with fewer skills; teachers are constantly being trained in new equipment and techniques such as Terrain Based Learning, which contours slopes to help beginners make their turns. At many resorts, the Learn to Ski and Ride programs have become more flexible and accommodating to guests’ various needs and interests, while off slope facilities, such as spas, pools and sledding hills provide a variety of activities. Many have also opened Adaptive Ski programs to help children and adults who have special needs — psychological or physical — enjoy the slopes. Any family shopping for a winter or spring break holiday will note many other examples of outreach to beginners, such as informative websites that explain more clearly what to expect; on-mountain, complimentary ‘ambassadors’ offering daily trail advice and easy-to-decipher trail maps; high-tech innovations like lighted signage on runs indicating wait times at various lift lines or at cafeterias; and RFID readers that allow guest routes to be tracked throughout the day. The best news is that the industry has been reducing the fees for learners’ packages – with lift ticket, equipment, and lessons all included – in order to bring newcomers into the sport and develop life-long fans. Most beginners love the West for the fresh powder and deep snowy base that cushion those early tumbles. The region’s long history of snowsports, combined with many towns’ acceptance of the ski bum lifestyle, mean you’ll often come across excellent resident instructors who have been teaching for years. These resorts also have a longer season, with bargain rates from November to mid-December, and early April to May or June. One of the Wild West’s most popular spots, Jackson Hole Mountain Resort (888/DEEP-SNO, or 307/733-2292) in Jackson Hole has extreme terrain, gorgeous beginner’s areas and a fun and funky town to roam when you’re done with the slopes. It boasts 2,500 acres of terrain and a vertical drop (top to bottom height of runs) of more than 4,000 feet! The resort has long been known for its expert terrain, but novice skiers can roll in the legendary powder with Pioneer Skiing & Snowboarding from age 3 on up. Young children must be fully potty trained and willing to participate. Older kids can join Rough Riders for kindergardeners through 1st grade, Explorer Ski & Snowboarding for 2nd to 9th graders, training camps and Kids Night Out. At the Idaho/Wyoming border, the compact, friendly Grand Targhee Resort ( 800/TARGHEE) in Alta boasts 500″ of snow per year blanketing 2,000 acres of scenic beginner, intermediate and expert terrain (including famed, Sno-cat only steeps). Their terrific nursery watches out for infants and toddlers and offers snowplay; learning programs begin at a later age and pair beginners 6+ (to ski) or 7+ (to ride) with pros in a safe and reassuring environment. If you’re arriving with little experts though, Targhee has an unusual Mini Moose program geared just to ages 3½ to 5 who already have their snowsports skills down pat. And the kids will appreciate that their Terrain Park has reopened with a beginner track parallel to the big guys. Skiers ages 6 to 14 will love their kids-only clubhouses in the Powder Scouts and Teen Adventures programs with time off spent in the Arcade. Targhee’s adult Beginner Package includes one group lesson, a Shoshone lift ticket and full-day rental package for a reasonable price. Lodging rates are reasonable too, for many types of ski in/ski out accommodations at the resort’s base. Grand Targhee also has great deals no mater your family size. Stay four or more nighs and ski free starting at $82 per person, per night. They also have a “Play Hooky” package starting at $104, saving you 20% on mid-week lodging. For families, check their Kids Stay and Ski Free package for kids 12 and under when parents purchase a 3-or-more day adult lift ticket. Snowbird (800/232-9542) in Utah thinks of snowsports instruction as part of daily life, a skill and a joy, both a mind and body experience to be mastered. Join the “learner’s permit” program for first time skiers and riders for ages 13 on up through adults. Your 3-year-old Chikadees have fun outdoors (and inside) with one hour of one-on-one instruction per half-day session, while ages 4 to 6 join Kinderbirds in groups of three or less to learn to ski and explore the mountain. Meanwhile, Snowbird’s 7 to 15-year-old skiers and riders are grouped together by age to learn the ropes and have fun. For teens ages 13 to 17, Wings for Teens meet separately from the rest of the crowd and enjoys lunch on the mounain. The Snowbird site even says they pick their Wings for Teens instructors based on “cool factor,” so your kids will want to hang with them. In recent years we recommended Breckenridge and still love it, but we’re switching to Keystone Resort (800-255-3715), another Vail Resort closer to Denver, Colorado where Vail is investing heavily in learning program upgrades. With a new focus on making Keystone the family resort in their impressive portfolio, they recently upgraded the Mountain House base village with children’s play areas (including a bouncing ball room), easy access parking for lesson drop-offs, and a central Ski School. There’s great mid-mountain beginner terrain and fun night skiing for your super eager beginners. Keystone makes it easy to save some money and eliminates any blackout dates on their Kids Ski Free package. Stay two nights and kids 12 and under ski and ride free. Keystone has three base villages (RiverRun is the most popular with families and has its own skating rink) and offers many web specials at nearby condos and hotels with lift tickets bundled in the rates. Many families find a foray into snowsports daunting and expensive enough without traveling far from home. 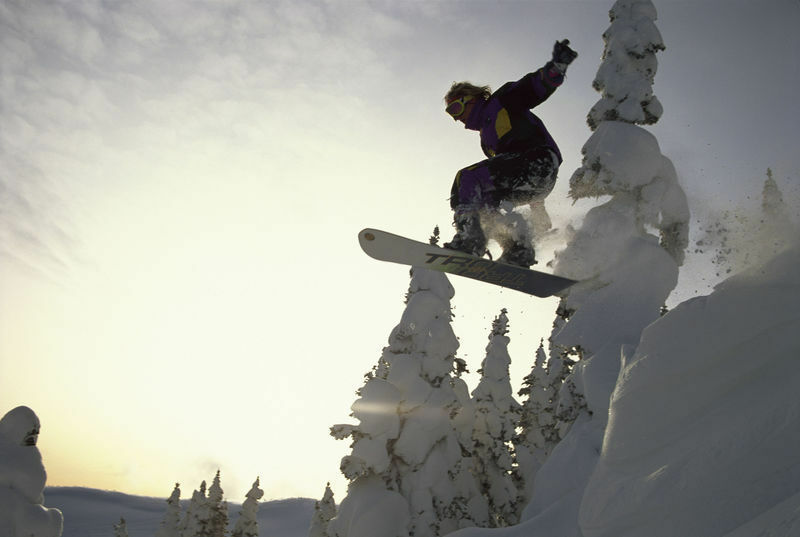 Check out the mountain resorts nearest you and inquire about their beginner programs. Throughout the Northeast, you’ll be surprised at the innovation you find at even the smallest local facilities. Mountains with lower altitude have to concentrate on good grooming and trail maintenance since they cannot compete with the West’s natural snowfall. And shorter runs with a more gentle pitch make for better beginner terrain. Vermont’s Smugglers’ Notch Resort (800/419-4615), rated “No. 1 Family Resort in North America” by Ski magazine for nearly 15 years running, is New England’s finest children’s learning center for two reasons: its scenic beginner terrain is safely segregated on Morse Mountain (one of the resort’s three peaks), and these guys know how to make it Fun. Smuggler’s Snowsport University offers a complete range of snowsports including alpine skiing for ages 3-15, cross-country skiing, snowboarding, airboarding and ice skating. Smugglers’ Camps teach children to ski at age 2½ or snowboard at age 3, using recently developed, kid-specific equipment. The popular Riglet Snow Park was developed by Burton to provide more instruction for some little ones, and simply age-appropriate terrain for others. Adults-only beginner ski and ride clinics use special balance poles and ego-maintenance techniques. You can all check out their Night School for Boarding, a 2½ hour, $49, all-in lesson that introduces gear and techniques to never-evers. Several learning programs are included in the Club Smugglers’ Advantage package that bundles lodging, lift ticket, lessons, and evening programs into one fee, and it’s available all season long. Bromley Mountain (802/824-5522) is in Manchester – not far from the noted steeps at Killington – but it has claimed Ski magazine’s title as “#1 Resort in North America for Family Programs.” They’ve been around for over 75 years, and were the first in the state to introduce valet parking. It’s the little conveniences and consideration of young children’s needs that make a Bromley Kids Rule Mountain Camp experience so easy. The kids lesson program was designed for kids ages 3 to 14 in collaboration with the directors of the ski and snowboard schools at sister resorts. They also have a fully state licensed childcare center for little ones 6 weeks to 6 years of age. A Mini Moose program introduces skiing to 2½-year-olds. Jiminy Peak in Massachusetts (413/738-5500) is a favorite among smaller resorts (9 lifts and 45 trails), mostly catering to New England families who start their kids here then head up to Vermont’s higher peaks. It boasts the latest teaching style being used at sister mountains, Kids Rule, with age-appropriate instruction here for ages 3-14. These full-day programs include lessons, lift tickets and lunch. There’s a by-the-hour drop-in nursery for ages 6 months and up and a similar learning program for 2½-year-olds who are able to learn a new sport in the morning but prefer to retire to a more restful daycare setting after lunch. Lesson discounts apply for multi-day passes, so you may want to make this your regular weekend getaway. One of the mountain’s best features is their Burbank Children’s Center, where ski school programs, a playroom for toddlers, rental shop and all the paperwork can be done without leaving the building. Adults get the same treatment: the Doc Maynard GET (Guaranteed Easy Turn) Center offers everything novices need for learning to ski or ride in one convenient place, and if you don’t have fun on your first lesson, they guarantee a second one free of charge. Weekend days and nights, and on holidays, a lit tubing hill is open for all ages. Jiminy Peak’s Country Inn offers midweek lodging packages throughout the season. Okemo (800/78-OKEMO) is one of Vermont’s most popular family resorts, because its simple layout and one main basecamp (a 2nd basecamp at Jackson Gore Mountain is mainly used by Jackson Gore Lodge guests) prevent ‘losing’ kids who ski or ride independent of their parents. Staff are careful to monitor lift lines and groomers are meticulous with the gentle slopes. The friendly atmosphere also makes parents feel comfortable entrusting their little ones to this mountain’s terrific teaching staff. Children can start learning to ski with private lessons at age 2. At First Tracks, novices will learn the basics of skiing or riding in a one-day package complete with two beginner group lessons, rental equipment and unlimited use of Okemo’s beginner lifts. The Double Tracks is a two-day beginner program that includes three lessons and an upgrade to a full-day, full-mountain lift ticket at no extra cost. Additionally, there are parent-tot lessons with a private instructor, so intermediate or above level parents can get guidance on teaching their own kids to ski or ride. Group lessons for young skiers start at age 4, for riders at age 5; children ages 3-4 have an option of adding an extra lesson to their day in the mountain’s noted daycare center, the Penguin Playground. Aware of families’ sensitivity to price, the more luxury-oriented Okemo has introduced many innovations in pricing, such as the Flex Card, good for discounts all season and free skiing on the season’s last two days. Midweek packages bring lodging rates at the mountain’s ski in/ski out facilities down to a more affordable rate. Here’s a very decent local ski resort just over an hour from New York City, with millions in improvements — including trails, the Red Tail Lodge, zip line and snow tubing added in the last few years. Mountain Creek (973/827-2000), a former Intrawest property (now owned by Crystal Springs Resort) in the western New Jersey hills near Vernon, offers remarkably good facilities (a fun base village), trails (46), and innovative teaching programs to the vast urban market down the hill. The dedicated Learning Center and Learn-To-Ride Terrain originates with Burton Snowboards and Snow Park Technologies, so they benefit from all the testing that Burton’s LTR program has undergone at other resorts. Mountain Creek starts snowboarding instruction at 4-years-old thanks to Burton’s diminutive equipment. That’s a good thing, because their terrain parks are extensive, impressive (they hosted a past US Snowboard Grand Prix halfpipe competition) and kids turn out in big numbers to ride. 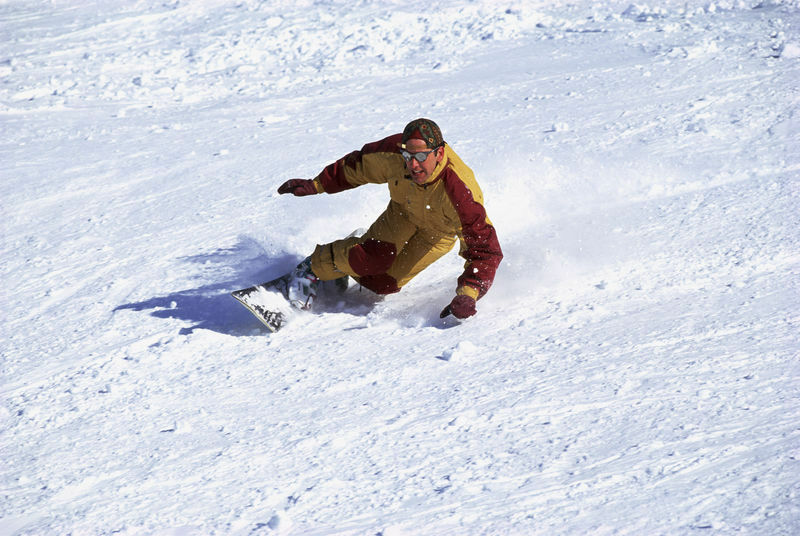 Adults are not neglected in the lesson offerings, with some unique formats such as the Ladies Club for clinics taught for eight weeks — by women for women — at all ages and levels of ski and snowboard capabilities. Too busy to learn while the sun shines? The entire trail system is lit so you can study until 10pm every day of the season. Last but not least is the small Mt. Sunapee (603/763-3500) ski area. It was local demand that spawned a Families First program designed for parents and kids above 8 years. Children ages 1 to 5 can have fun at the Mother Goose Child Care Center and the stay for 3 and 4 year olds can be combined with private 1-hour ski lessons. Their Snow Stars Program caters to 4 to 7-year-olds who learn the fundamentals of skiing in a safe enviornment — in beginner areas with five lifts servicing 13 trails. Mountain Explorers takes 8 to 12 year-olds out on the slopes to learn fast and gain confidence in a beginner setting. Amplitude Plus is one of Mount Sunapee’s newest seasonal programs geared towards advanced skiers ages 8 to 15 with a 5:1 athlete to coach ratio. Also new, the Nordica Learn to Drop Program helps 8 to 15 year olds who want to get an introduction to terrain park features with 3 hours of coaching. But are the programs any good? One mom confirmed it was worthwhile ; “We took our 4-year-old and 8-year-old both there to start out because it’s a small and friendly mountain, and the instruction was fantastic for both of them.” Midweek Ski and Stay double-occupancy packages include breakfast, lift ticket and room. This report was compiled from site inspections made by Ron Bozman, Fran Falkin, Seth Gladstone and Kyle McCarthy. I’ve heard that Sun Valley Idaho also has a wonderful children’s program at a mountain that is designated for just kids and people learning to ski called Dollar Mountain. Has anyone been there recently? Yes, Dollar is a learn-to-ski mountain where the kids’ programs are headquartered. I think they start lessons at age three but have full-day programs for ages four and up. It’s a good confidence building mountain and is really safe but is a short bus ride away from the Sun Valley ski area. Snowbird Utah is awesome, but I don’t remember it having that many advanced beginner slopes — just complete beginner slopes, and then lots of intermediate and expert runs. Maybe it’s changed since I’ve been there with my kids, but they could use more truly green runs. Alta Ski area next door to Snowbird in the same canyon might be a better choice once a beginner has mastered the wedge turn and wants to practice it on easy slopes. Dodge Ridge California near San Francisco and the Silicon Valley area (it’s closer than Tahoe) has an excellent ski school for children. It’s not the biggest mountain and it doesn’t have any base lodging, but it really does an excellent job of teaching and it’s prices are lower than the bigger resorts.